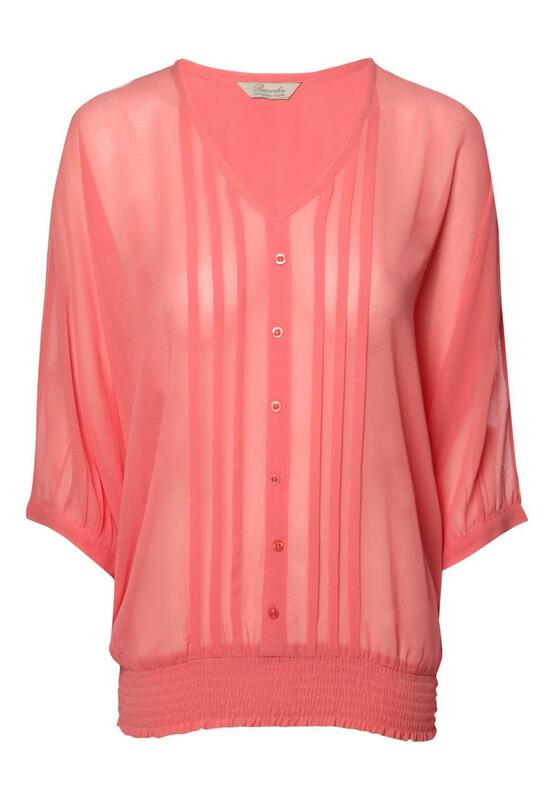 This stunning oversized pintuck blouse is perfect for a work or a smart evening look. With a fitted elasticated waist band and three quarter sleeves, a button up front and pinched seams this. 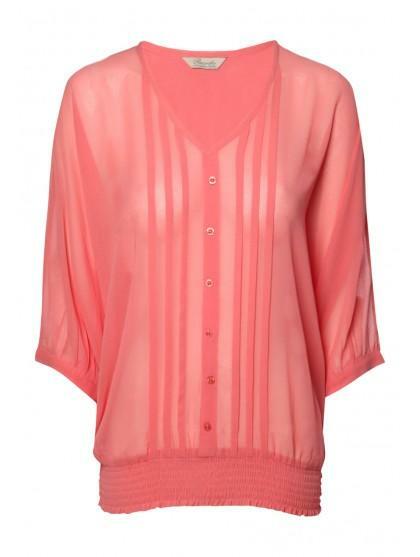 This top can be worn with smart grey trousers or a midi skirt and court shoes.